Blueberry Days: Oh So Fresh !! I'm not really a perfume fan and I really only wear it for when I go out or on special occasions. For years, I have been using Gucci Eau de Parfum II as my only go-to fragrance. The bottle is nearing its end though and I have decided to replace it with a different one. Little-me went on the huge quest of finding the new perfect perfume and that really turned out to be a bit of a mission. I'm the kind of person who judges by the bottle and if I don't like that, the precious liquid has no chance of winning me over. This has made it even harder to find an acceptable fragrance. Along the way, I discovered a straying Chanel Chance Eau de Parfum in my parents' bathroom (no one knew where it had come from) and I took it in. However, it is a little rich and heavy for me and I only use Chance on VERY special occasions. 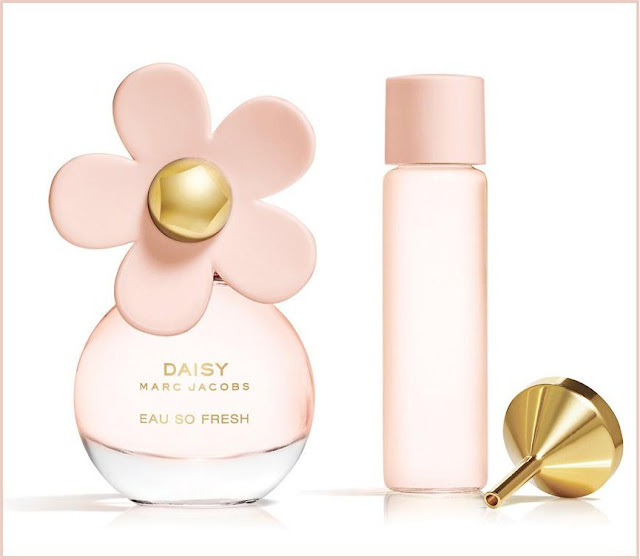 However, I have now also been successful in finding the proper perfume match for me: Chanel Coco Mademoiselle Eau de Toilette and Marc Jacobs Daisy so Fresh Eau de Toilette. Due to some financial issues (I never seem to know where my earnings go), I have decided to put the Coco Mademoiselle on my birthday wishlist and only ordered the Daisy so Fresh (online voucher *yay*) and it has now finally arrived. I love the fresh and fruity fragrance of 'crisp raspberry' at the top, 'sensuous wild rose' in the middle and 'deep and warm plum' as the base (see website). 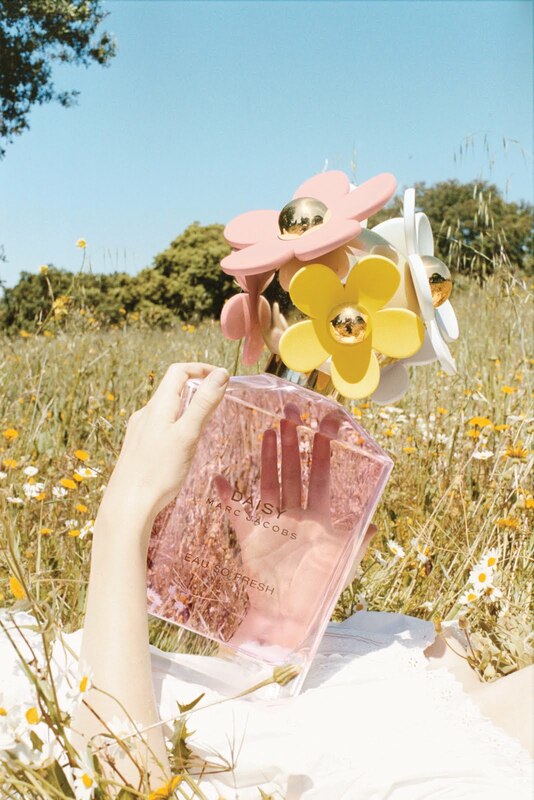 The cherry on top - or perhaps the daisy on top - is the total cuteness of the bottle. Can't stop looking at it :D Word is that with the gift set you don't only get the large 75ml Eau de Toilette and a 100ml body lotion but also a tiny 4ml pocket bottle of the fragrance. What more could u want??! Oh, I love the Coco Mademoiselle. Fortunately, I got a free example and I hope it will last for ever, cause I'm not ready to spend so much money on a fragrance *nono*.